Home » MakeBadger's templates shop » Eye-catching card for architects. OBC-05. The great example of a business card for architects and designers. Grid-based layout and yellow accents. We live in a computerized world, however, business cards are still especially significant in the present proficient scene. Business cards are a piece of your own special expert marking and are convenient self-promoting apparatuses you can use to make certified associations. Use them to make an enduring and unmistakable type of a “first impression” you can leave with an imminent lead, customer or business accomplice. 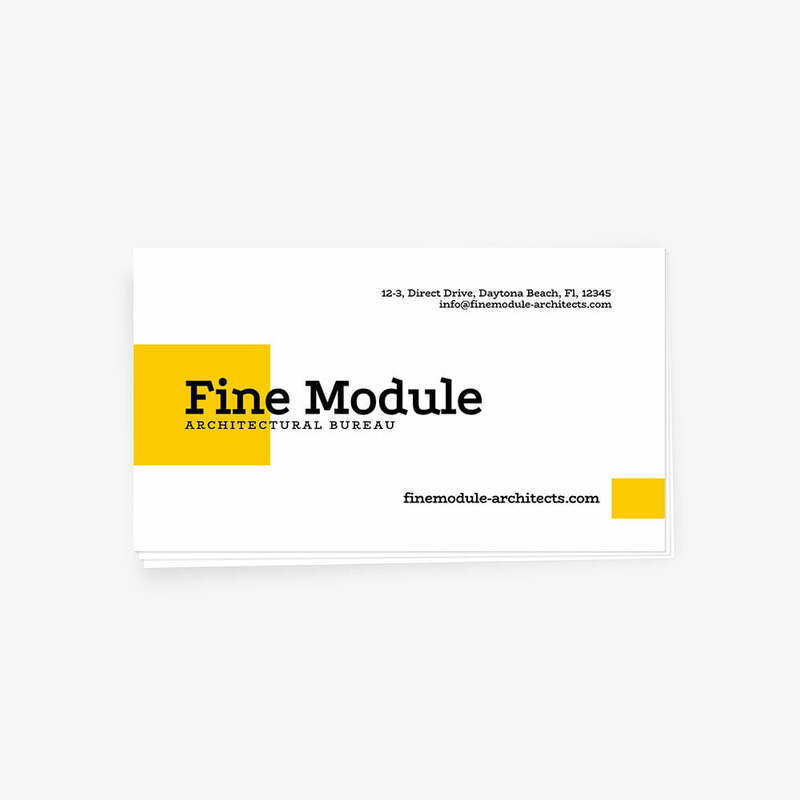 Take a look at this awesome online business card template! This is the ideal card example for designers and architects and other creative people. Bright color accent areas, great layout design and pretty typographic composition – that are the key features of this free template. Feel free to change it and use as a basis for your creative artwork.